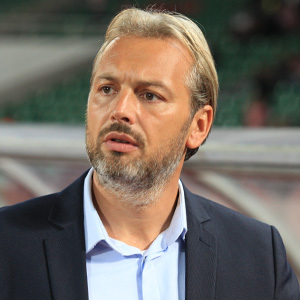 Cranes head coach Sebastien Desabre has strongly suggested that the team building process is to plan. Speaking to the FUFA media prior to the international build up match against Niger in West Africa, the French man says the process to forge out a good time has been great where he accesses the several players and combination (partnerships). 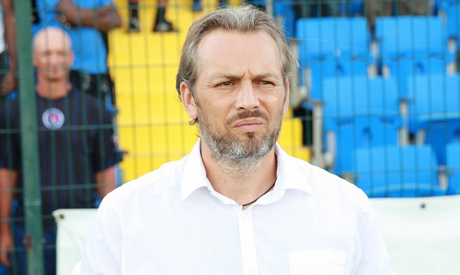 Desabre’s comments come after Wednesday night’s 1-0 loss to minnows Central African Republic. “At a moment we agreed to make mistakes which won’t be repeated during crucial games because we would have perfected with our intended style of play. “I will alternate my players to give a chance to others because we are still assessing who fits in our intended style of play and philosophy. “We lost to CAR and it’s hurting because no one would like to be on a losing side. “We conceded a goal after a defensive lapse but we were just unlucky that we never converted the many chances we got as we dominated the game for most of the minutes. He remains impressed about the progress of the team and still maintains the building process is not a task done overnight. “We have a lot learn but we can’t do it in a small period of time, continued Desabre. “To achieve this we shall have to use a pool of players from whom we shall consider those who fit in our philosophy though per now we have eight key players whom we are currently the pivot of the team. “Don’t judge me now, let the real assessment come in September against Tanzania and October against Lesotho. “My main target is project Cameroon 2019 and Qatar 2022 and I believe with time to those competitions we will be in a perfect shape after several test matches. Team captain Denis Onyango who missed the game on Wednesday night could return into the Uganda Cranes goal posts at the expense of Salim Jamal. Also, right back Nico Wakiro Wadada, defender Bevis Mugabi and William Luwagga Kizito could all start the game on Saturday. Danish based winger Moses Opondo could earn his debut for the Uganda Cranes as well. In the first match of this three nation invitational tournament played, Niger was held to a 3 all draw with Central African Republic last Sunday. Central African Republic beat Uganda 1-0 to go top of the standings. Of the three countries, Uganda is the best ranked on the current FIFA Rankings coming in the 74th position. Niger is 109th while Central African Republic is 115th. Forwards: Emmanuel Okwi (Simba, Tanzania), Yunus Sentamu (Tirana, Albania), Edrisa Lubega ( Floridsdorfer AC, Austria), Mohammed Shaban( KCCA).